H Detroit Electric έδωσε ένα teaser video καθώς ναι μερικές νέες λεπτομέρειες του πως θα μοιάζει η έκδοση παραγωγής του SP:01. Το μοντέλο αρχικά το είδαμε τον Απρίλιο του 2013, βασίζεται πάνω στην Lotus Exige, με την εταιρία να αναφέρει πως έχει τοποθετηθεί στο κέντρο του ένας ηλεκτροκινητήρας απόδοσης 207 kW (281 ίππων) με 280 Nm ροπής, με τα 0-100 χλμ/ώρα να τα κάνει σε 3,9 δευτερόλεπτα, έχοντας τελική ταχύτητα 250 χλμ/ώρα. Το αυτοκίνητο θα στο νεόδμητο εργοστάσιο της εταιρίας στην Αγγλία, με την παραγωγή του να περιορίζεται στις 999 μονάδες με αρχική τιμή τις $135.000 (€99.500). DETROIT, USA, October 17, 2014 – As the preparations for the introduction of its SP:01 electric sports car gather momentum, global EV manufacturer Detroit Electric has revealed a bold new brand identity and provided a hint of the final exterior design of the company’s new vehicle. Supporting the launch of its new brand identity, which includes a recharged corporate logo and colour palette, Detroit Electric has also released an innovative ‘teaser’ brand film and is finalising a new-look website that will support the introduction of the new corporate identity. The re-brand is the latest initiative in the company’s marketing strategy as Detroit Electric gears up for the start of sales of the SP:01, and follows the announcement of successful prototype testing in June this year. The company’s logo has been modernised to reflect Detroit Electric’s pioneering and energetic values. A sympathetic restoration of the original round Detroit Electric badge, the new logo has been carefully evolved to reflect the brand’s new colours of blue and white, while maintaining the art deco character and integrity of the original styling. The new logo will be displayed as a badge on the company’s pure electric vehicles, as well as on future products, and for corporate communications applications. The introduction of the new blue and white colour palette represents the company’s pure electric positioning. Blue represents energy and modernity, and is reminiscent of lightning storms where ionised oxygen produces an electric blue effect, while white provides purity, simplicity and a bold contrast to the blue. To support the new corporate identity, Detroit Electric has launched an innovative brand video that teases the look of the Detroit Electric SP:01 sports car. The film takes its inspiration from the brand’s mantra of ‘Pure Electric Performance’ and depicts the creation of the SP:01 out of electricity, starting with a spark to signify the renaissance of Detroit Electric, which grows into a storm of electrical energy that takes the exterior shape of the company’s first production car. Detroit Electric will also launch a new-look website towards the end of this month which will fully reflect the company’s new corporate identity. The website will feature updated information about Detroit Electric’s forthcoming SP:01. 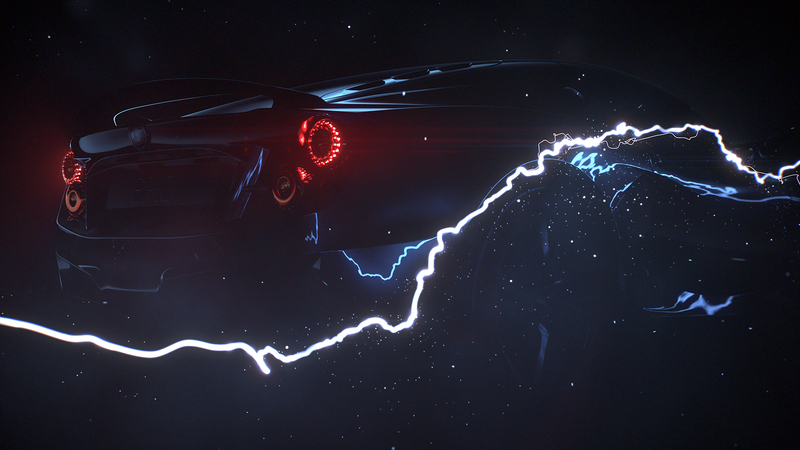 The teaser video and new brand identity can be seen at www.detroit-electric.com from October 17, 2014.